Singapore, home to Zendesk’s headquarters for Asia Pacific, is also the next stop on Zendesk’s The Future of Customer Experience 2018 world tour. Those attending the event will hear from industry experts from Trendwatching, Forrester, and McKinsey, and from a host of thriving companies that include Circles.Life, The Coca-Cola Company, Ayala Healthcare Holdings, DBS Bank, Singapore Press Holdings, Grab, AiChat, KeyReply, the Cebu Pacific, 1MG, and Discord. When the day is done, as locals know, the city-state is a feast for the senses and boasts many of the top 50 bars in all of Asia. There are plenty of opportunities to eat and drink well or take in a view. Here are some suggestions from our local colleagues to guarantee you’ll leave with a taste of everything wild and wonderful that Singapore has to offer. Night Safari Adventure Tour. Fun for both visitors and locals, splurge on a night safari tour at the Wildlife Reserves Singapore to “see the weirdest and most interesting Asian animals.” Small vehicles take visitors on a ride through the animal enclosures for some close, but safe, encounters. Singapore Botanic Gardens. 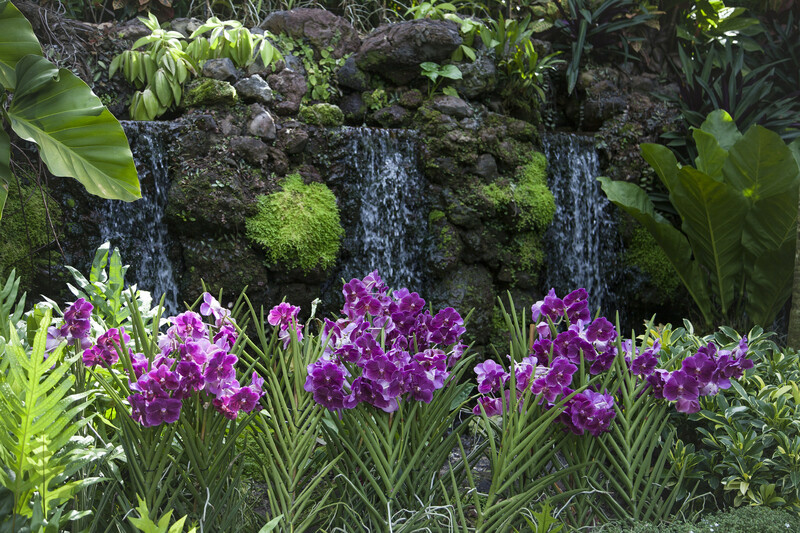 Named in 2015 as a UNESCO World Heritage Site (the only tropical botanical gardens on the list), this collection of gardens include more than 1,000 species of orchid, hundreds of species of ginger, prized and protected heritage trees, and chances to learn how plants evolved, for example, to become fragrant or medicinal. The gardens are also situated beside six-hectares of tropical rainforest that house 314 species of plant. Gardens By The Bay. If you need to beat the heat, take in the city’s architecture and a spectacular showing of garden artistry and horticulture in this indoor space. Key attractions include the Flower Dome, the largest glass greenhouse in the world, Cloud Forest, and Supertree Grove. At night, the supertrees are a sight to behold and you might even want to grab a drink in the sky. Make a quick stop into the Singapore City Gallery for some insight into Singapore’s transformation over the years—and a look at the Urban Redevelopment Authority’s vision, some 50 years from now. Currently undergoing a revamp, temporary exhibitions are available in the Level 1 Atrium. Sentosa Boardwalk. Locals recommend walking from VivoCity shopping mall to Sentosa island via the covered boardwalk. At night, the boardwalk transforms into a scene of starry lights. Lantern. This rooftop bar atop The Fullerton Bay Hotel offers a chance to relax with a cocktail and food and take in the incredible views of Marina Bay. 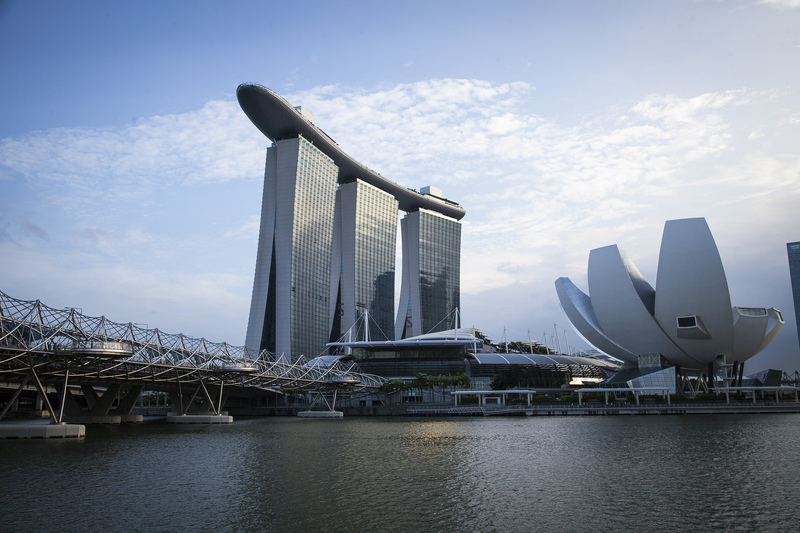 You may even catch a glimpse of the light show from Marina Bay Sands or can add in a walk along Singapore River. Also notable, the ArtScience Musuem, built to resemble a lotus flower, collects rainwater and light to use in the museum. East Coast Seafood Centre. The East Coast Seafood Centre houses several major and popular seafood restaurants and is frequented by locals and tourists alike—notably, for excellent crab, shrimp, and sting-ray dishes. Little India. This is the place to go for a good chicken biryani or vegetarian food. Try MTR or Murugan Idli Shop. Makansutra. Great spot for hawker food, plus a nearby amphitheater offers a chance to catch local, free music performances in the evening. 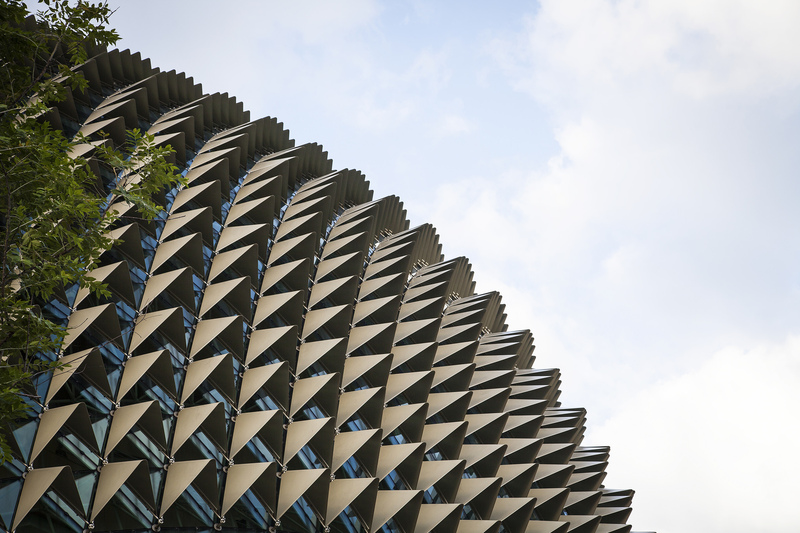 For something more formal, also check out the nearby Esplanade Theatre; its design resembles a durian fruit and the venue is home to everything from Baybeats, the largest free alternative music festival in Singapore, to shows for children or full orchestras. Dempsey Hill. Dempsey Hill is an upscale neighborhood that boasts many great restaurants in heritage black and white-style buildings. There are also recommended walking trails and maps to ensure you see more than trendy hotspots. Arab Street and Haji Lane. For more of old-meets-new Singapore, and an escape from the malls of Orchard Road, Arab Street and Haji Lane offer an array of independent and boutique shops and hipster bars and restaurants. Arab street (and its surrounding area) represent the historic Muslim quarter and the Masjid Sultan Mosque is a must-see. Bugis Street Market. Described as a “vibrant area, with lots of good eats,” Bugis is the largest street market in Singapore and a hub for food, shopping, and killer deals. The Pinnacle. Also known as Singapore’s tallest public housing building, located in the Tanjong Pagar neighborhood, The Pinnacle offers another place to take in a panoramic city view. The 50th Storey Skybridge is open to the public. On the heels of Singapore, The Future of Customer Experience travels next to Melbourne. Suzanne Barnecut is the editor of Relate. She is also a reader of paper-made books, sender of snail mail, writer of fiction, coffee fiend, and pastry aficionado. Perhaps not in that order. Find her on Twitter at: @suzannebarnecut.